Martha Jane Beuchat, 81, of Meadville, passed away Wednesday, January 30, 2019, at Meadville Medical Center. Martha was born in Meadville, on April 17, 1937, a daughter of the late Marion John and Charlotte (Lukasik) Maziarz. On July 28, 1962 Martha married Donald William Beuchat; he survives. She was a member of St. Brigid Roman Catholic Church. From 1983-2000 Martha was employed by the former Riverside Market and BiLo, now known as Tops. A 1954 graduate of Meadville High School, Martha attended the former St. Brigid Elementary School. Martha delighted in being a homemaker and raising her family. She enjoyed baking, volunteering with Seton School PTO, Seton School BINGO and in the school cafeteria. 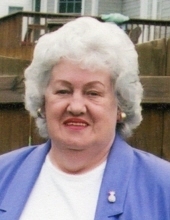 In addition to her husband, Donald, of 56 years, Martha is survived by three sons William Beuchat (Michelle) of Knoxville, TN, Mark Beuchat (Michelle) of McDonald, Gregory T. Beuchat of Meadville, five grandchildren Nicholas, twins Sarah and Katie, Amanda, Victoria, a sister Terry Markey of Erie, two brothers Joseph Maziarz of Meadville, Richard Maziarz of Kittanning, numerous nieces and nephews. In addition to her parents, Martha was preceded in death by three brothers Edmund Maziarz, Mitchell Maziarz, Sr., Victor Maziarz and a sister Helen DeGross. Family and friends are invited to call from 10-11:30 AM on Monday, February 4, at STEPHEN P. MIZNER FUNERAL HOME & CREMATION SERVICES, INC., 404 CHESTNUT ST., MEADVILLE. A Mass of Christian Burial will be celebrated at 12:00 PM on Monday, February 4, at St. Brigid Church, 383 Arch St., Meadville, with Fr. Jeffrey Lucas, Pastor, officiating. Martha will be laid to rest in St. Brigid Cemetery, West Mead Twp. Memorial contributions may be made to Meadville Medical Center Foundation, 736 Liberty St., Meadville, PA 16335. To send flowers or a remembrance gift to the family of Martha Jane Beuchat, please visit our Tribute Store. "Email Address" would like to share the life celebration of Martha Jane Beuchat. Click on the "link" to go to share a favorite memory or leave a condolence message for the family.